Back to school extravaganza!!! 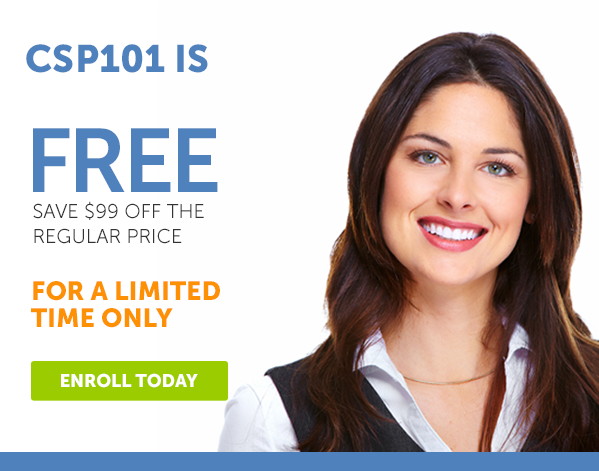 CSP101 is free for a limited time so enroll today! An amazing discount of $99 is not to be missed. Please call us at 1-844-4CBSLLC and press 1 for admissions and talk to a CBSLLC Rep today!